I have tried to capture the atmosphere of this preserved steam railway. 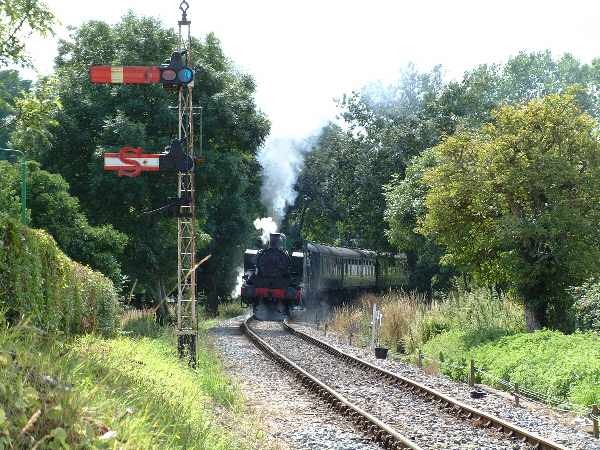 It was built by Col. Stephens, the prolific builder of light railways. There are currently six stations on the line, with the new extension to Bodiam re-opened for the Millennium. These pictures were taken in 1998, 1999, 2000 & 2001. 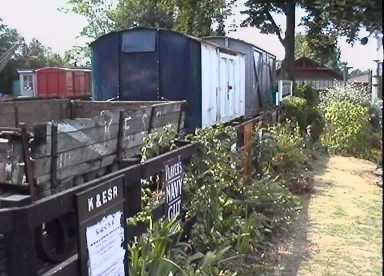 There are more railway pictures on my Isle of Wight site of the Havenstreet Railway. 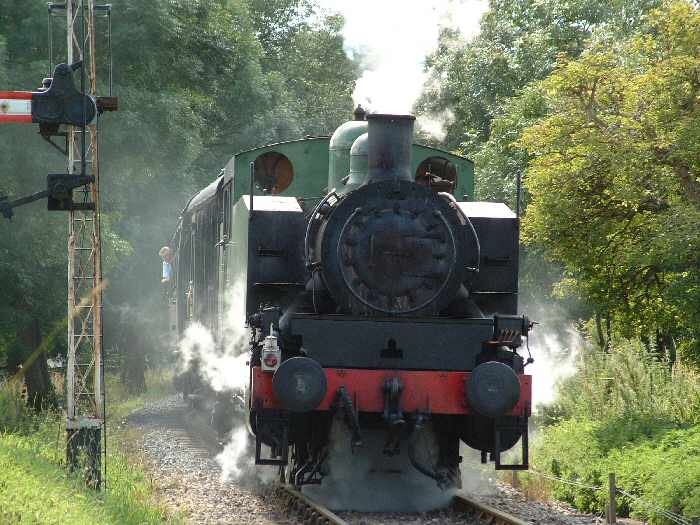 This steam engine makes light of the steep gradient into Tenterden station. 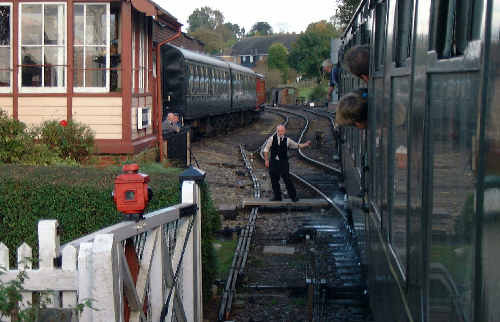 A train pulls into the station at Tenterden. 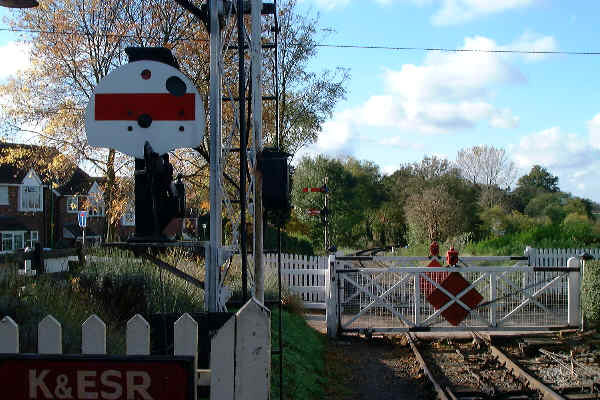 The signal control rods outside Tenterden box. 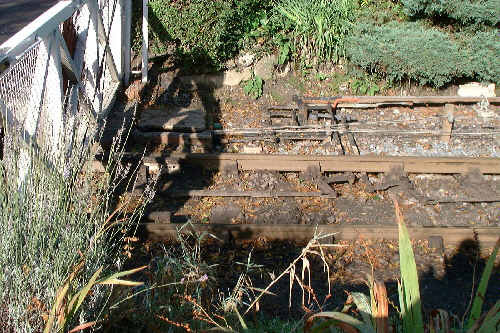 There are several level crossings on the line making it difficult to operate at times - the line relies on volunteers. Any takers?. 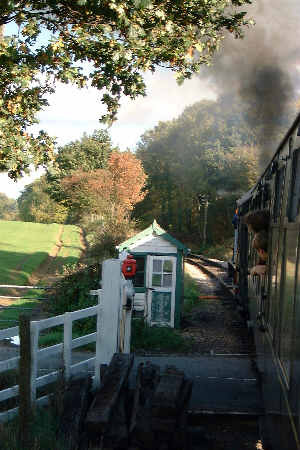 The driver passes the single section token to the signalman as the train pulls into Tenterden. Leaves on the line? The wrong sort of snow? 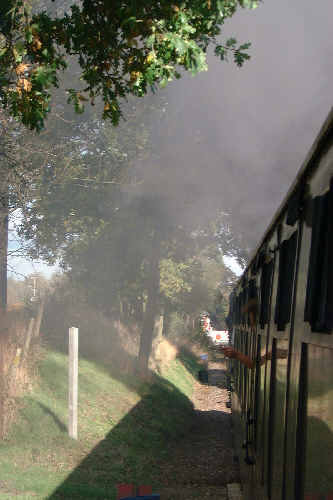 No, apparently the Tenterden problem on this occasion was the wrong kind of coal! 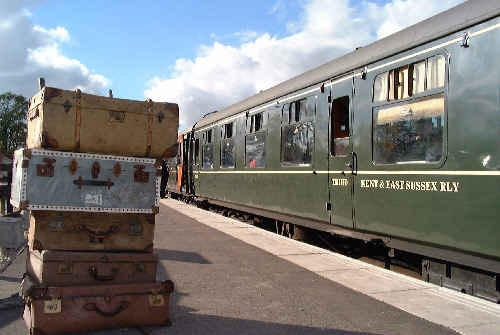 Atmosphere at Northiam Station. 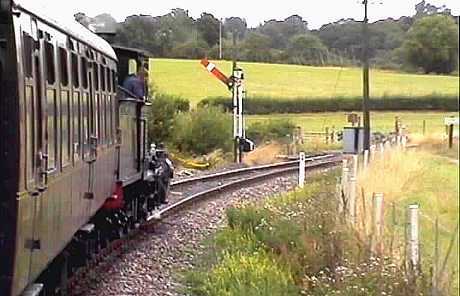 Prior to the opening of the extension to Bodiam in 2000, this was the end of the line (as when this image was shot). 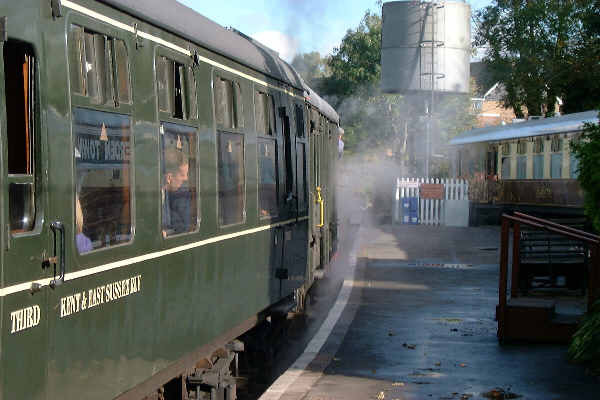 A diesel locomotive climbs into Tenterden Town station. 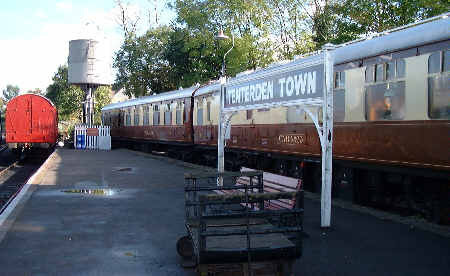 Another view of Tenterden station. 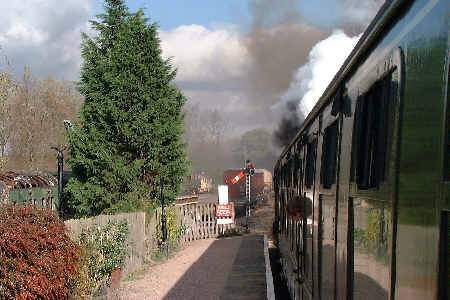 This was taken near the superb railway museum at Tenterden. The town church can be seen in the background.. 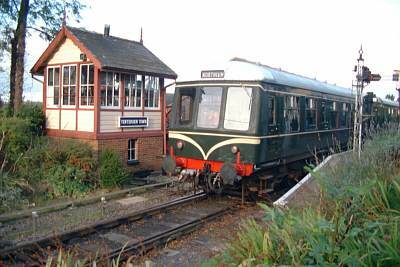 This diesel was shot arriving at Tenterden. 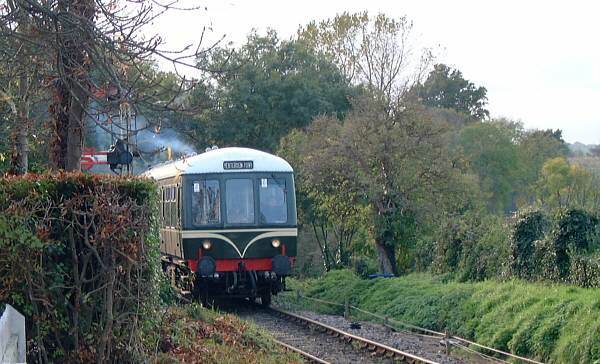 This train has just left Rolvenden station and is preparing for the steep climb to Tenterden. This is the best part of the journey - the sheer power as the engine struggles packed with coaches of holidaymakers fighting against gravity. 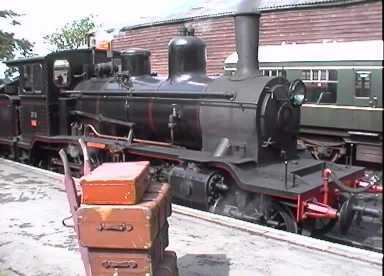 A steam loco ready for action in Tenterden station! 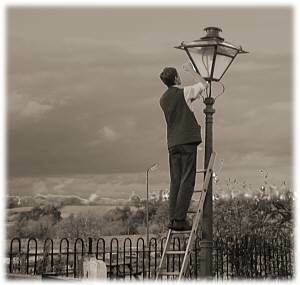 As the railway day comes to an end, the lamps are lit at Tenterden. The following railway books are available from Amazon Books. Visitors to the railway will find a huge selection in the station shop.